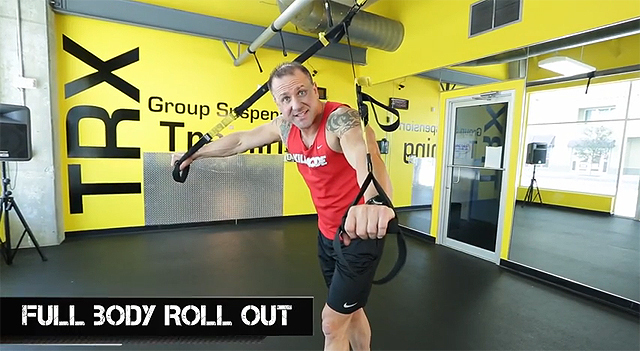 Hey there, Rob here with another awesome set of TRX Leg Exercises for your hips, hamstrings and glutes that will rock your core and lower body big time. 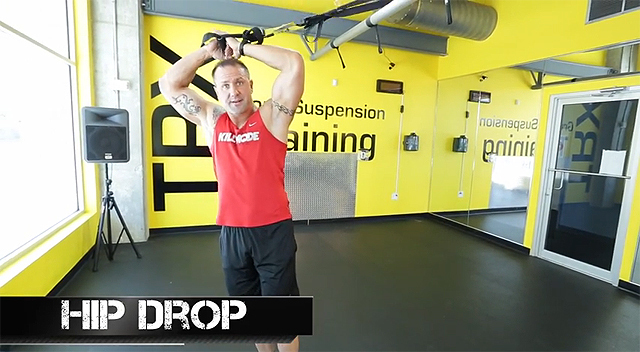 Dan Long continues to post excellent workouts that you can use with your TRX suspension trainer that you will not find anywhere else, not even at the branded TRX website. As a Suspension Revolution user, I am always checking out Dan Long’s YouTube channel for new workouts and he delivers all the time. His suspension program is by far the best workout guide around. So if you are looking for an excellent workout to follow, join Suspension Revolution on the right. Roll your body out, raising your arms straight up as you roll-out completely. Keep your body straight at all times. Lower arms and pull hips in to return to start position and repeat. 30 seconds on this exercise. Put straps in Single Hand Mode (SHM) and stand off to the side of anchor point, holding handle with both hands over your head. Drop your hip to right and raise left leg up as high as you can. Repeat for desired duration of time and then repeat with a hip drop to the left with a right leg raise, as high as you can, for 30 seconds. Immediately lower to ground and then lift again, repeating hip thrusts as fast as you can. Repeat these exercise for 3 to 4 rounds. Let me know your experience with Dan’s workouts by leaving a comment below. Watch Dan demonstrate these exercises. Be the first to comment on "TRX Leg Workouts For Hips, Hamstrings and Glutes"